Photoshop will never be as fulfilling as climbing up there and doing it yourself. I liked the Nike Run billboard for the way it blocks the path it suggests running down. I wasn't so tired right now I'd make a list of which ones of those are real and which ones are 'fake' (as in spec work, mockup concepts by students and not physically real) but like I said, I'm tired. 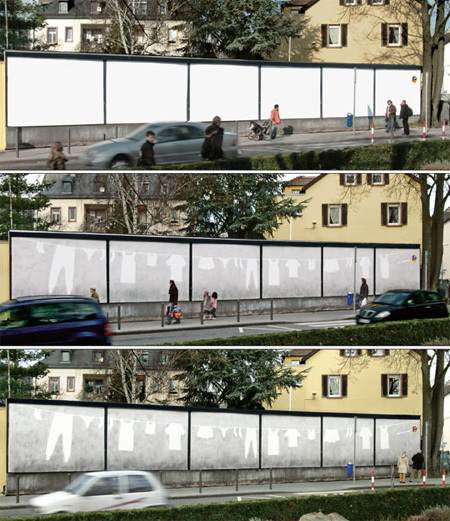 Celebrating the cleverness of billboard campaigns is like celebrating the inventiveness of CIA interrogators. I'm moving to Vermont. After a few minutes these would be covered in graffitti in my neighbourhood. Not only does Vermont have no billboards, but as you approach the NY border outside Bennington, you can see the billboards massed together in a crouch, as if they're waiting for the border to let its guard down so they can pounce and enter the state. 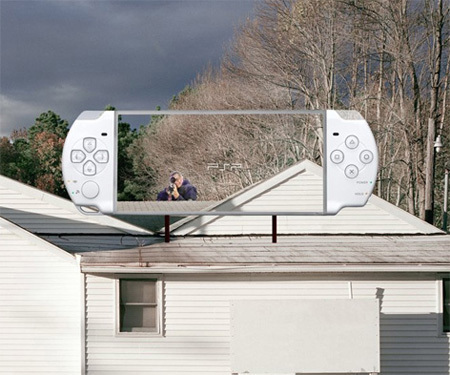 After seeing the PSP ad in SoHo everyday, when I came across it on the website I couldnt see what was cool about it. Celebrating the cleverness of billboard campaigns is like celebrating the inventiveness of CIA interrogators. interrogators and captive: shared laugh.